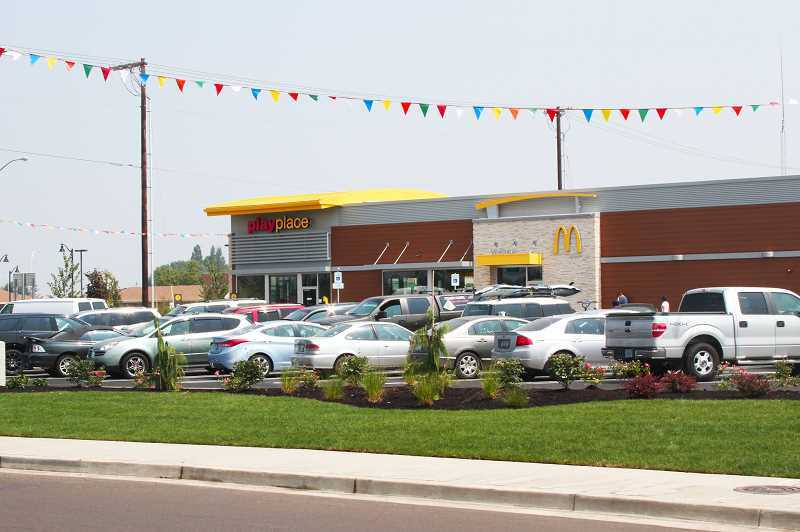 The Woodburn McDonald's location near Interstate 5 opened last week after undergoing a complete reconstruction. The new building, which includes an indoor PlayPlace, a drive-thru and wi-fi, replaces the 40-year-old building that stood at the site before. The location shut its doors in April. The employees at the location were offered employment at nearby McDonald's locations while demolition and construction went on. The restaurant, located at 2910 Newberg Highway, reopened on Wednesday, Aug. 2. The drive-thru is open 24 hours a day, seven days a week, while the restaurant is open daily from 5 a.m. to 11 p.m.